A great way for the professional carpet cleaning company to increase sales and profits and to help customers who suffer from allergies and/or are asthmatic - an increasingly common health problem! 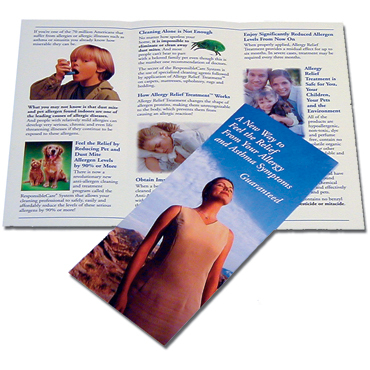 Specially formulated for use around people with allergic illnesses and chemical sensitivities. 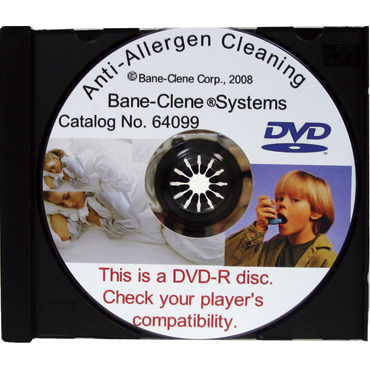 Allergy Relief Treatment is an effective and safe way to control dust mite allergens. Allergy Relief Treatment changes the shape of allergen proteins, making them unrecognizable to the body, which prevents them from causing an allergic reaction! Made from naturally occurring, renewable sources. Hypoallergenic, non-toxic, biodegradable & environmentally safe, dye and perfume free. Allergy Relief Treatment is an aqueous solution containing a powerful active ingredient, derived from naturally occurring extracts found in certain fruit seeds and plants. Safely control dust mite allergens. Do not apply to rayon or rayon blends. One gallon of Allergy Relief Treatment will treat 2,000 square feet of carpet. 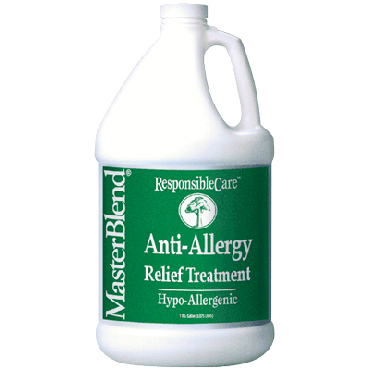 A vital part of MasterBlend’s ResponsibleCare® System of Allergy Relief Treatment. When properly applied, Allergy Relief Treatment provides a residual effect for up to six months. In severe cases, treatment may be required every three months. Can be safely and effectively used in homes with children and pets. Not a pesticide or mitacide. The Best Hypo-Allergenic Way to Control Dust Mite Allergens for Asthmatic and Allergy Suffering Customers. The Allergy Relief Treatment product is designed for homeowners that are sensitive to harsh chemicals and suffer from allergies. This anti-allergy product works best when used after the final rinse when extraction cleaning carpets, rugs and upholstery with Anti-Allergen All Fiber Rinse and Emulsifier to remove soil and other detergent residues. 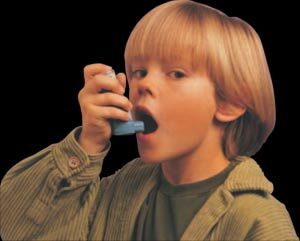 According to the Asthma and Allergy Foundation of America, an estimated 50 million Americans, about one-third children, suffer from various allergies. The most common causes of allergy complaints are dust mites and pet dander. One of the most effective ways to help these allergy sufferers is with extraction cleaning carpet, rugs and upholstery with anti-allergen products followed by anti-allergen treatment, especially during the winter months, resulting in a healthier home environment for allergy sufferers. 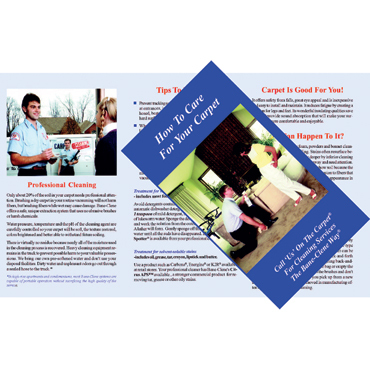 This is a great opportunity for carpet cleaning technicians to include CLEANING FOR HEALTH in their businesses to greatly increase their income. According to the American Academy of Allergy Asthma & Immunology, roughly 7.8 percent of adults suffer from hay fever. The main factor that triggers allergic reactions is pollen. Our immune system mistakes pollen as a foreign threat and releases antibodies that attack the allergens, which then releases histamines, causing the familiar runny nose, itchy eyes and throat among other possible symptoms. Allergic reactions are caused by the interaction of a person’s immune system with the outside world. Foreign proteins, especially small proteins from pollen, mold and dust mites can cause an immune reaction in an individual due to the sensitivity of an individual to small particles in the air or other substances that result in sneezing, redness of the skin, etc. The most common cause of allergy complaints is dust mites with cat dander. Some sources indicate that dust mites are responsible for 25% of all allergies and are the most important cause of asthma worldwide. These sources further indicate that perhaps 15-20% of the earth’s population is severely allergic to dust mite allergen! Physician organizations such as the American Academy of Allergy Asthma and Immunology (AAAAI) states that dust mite feces are a major source of allergen found in house dust. It is clear that dust mite feces is one of the most important and hazardous allergens found in indoor environments. There is an almost unlimited market for allergy relief services, including a large percentage of your current customer base. Given the serious nature of these illnesses and the dramatic impact you can have on helping those that suffer with them, the MasterBlend ResponsibleCare System will be an ideal way for you to really help your customers while increasing both sales and profits. Allergy Relief Treatment is a water-based solution that contains a powerful active ingredient derived from naturally occurring extracts found in certain fruit and vegetable seeds. This active ingredient has been scientifically proven to reduce indoor allergen concentrations below the levels that can cause allergy symptoms. 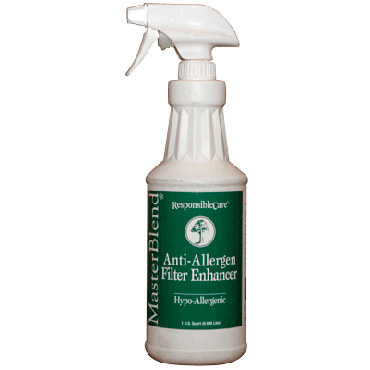 Allergy Relief Treatment provides an immediate reduction in allergen levels. In fact, most of the time, patients report a drastic improvement in symptoms within the first three nights when the bedroom has been completely cleaned and treated. Allergy Relief Treatment works by instantly deactivating the allergen DER pI in house dust mite droppings by denaturing and substantially reducing the IgE antibody-binding capacity of this allergen. As a result, they are no longer “recognized” by the body’s immune system and they do not bond with the antibodies sent. This bonding process is the cause of the body’s allergic response (the allergy attack). Even better, when properly applied, this treatment will provide a residual effect for up to six months! In homes where the source of allergies such as pets will not be removed or where allergy symptoms are very severe, treatments may be required every three months. 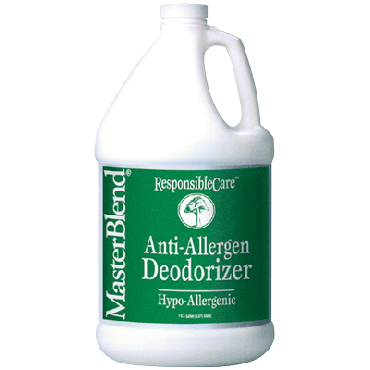 Allergy Relief Treatment can also be used to treat bedding in the washing machine. It is so effective that the treatment will remain effective for up to four subsequent machine washings. Allergy Relief Treatment is applied following cleaning with the anti-allergen products simply by pump-up or electric sprayer to mattresses, carpeting, upholstered furniture, rugs and window treatments hat are safe to wet clean. Form: Transparent, colorless, odorless liquid. Storage: Protect product from freezing. Keep container closed when not in use. Do not apply to rayon or rayon blends. Coverage: 1 gallon per 2,0000 square feet. Do not apply on rayon or rayon blends. First, clean surface using the hot water extraction method with Anti-Allergen All Fiber Rinse and Emulsifier. After testing for colorfastness, or color change, apply a wetting mist of Allergy Relief Treatment by sprayer directly to mattresses, carpet, upholstery, bedding, linens and covers or window fabrics, leaving surface damp but not saturated. Use a sprayer with a #8004 jet nozzle. Spray applications will provide anti-allergen performance for 6 months. For bedding, introduce Allergy Relief Treatment into the final laundry rinse cycle for linens at the ratio of two cups per load. The residual will remain effective for up to four subsequent machine washings. Anti-Allergy Cleaning of carpets, rugs, upholstery and mattresses - a very detailed 28-page report in Adobe Acrobat format. Click the “Usage & Tips” tab above for highly detailed article titled “Anti-Allergy Cleaning of Carpet, Rug and Mattresses Means MORE MONEY, MORE PROFITS!”.